Your phone service, including 911 usage, will be briefly interrupted on Aug. 27 at 3 a.m. MT, 4 a.m. CDT. 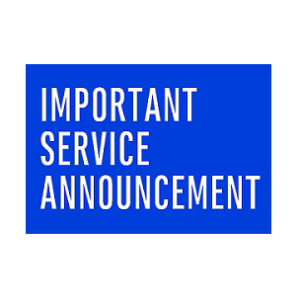 TDS® will be conducting required maintenance on servers lasting approximately 2 minutes or less; some customers may experience the interruption for up to 15 minutes. You will not be able to make or receive calls during this period. Any calls in progress will be dropped. Internet and cable services will not be impacted. Please arrange alternate forms of phone communication during this period.